SYDNEY TAR PONDS: CLEAN UP OR COVER UP? In 2013 the Nova Scotia government announced that they had turned one of the most toxic sites in Canada into a community park. For a century Sydney Nova Scotia was the site of the Sydney Steel Corporation later called Sysco, where iron ore and lime from Newfoundland and coal from Cape Breton came together to make steel. The industry provided many stable long-term jobs for generations of Cape Bretoners, but it also left behind another type of legacy. When the steel plant closed in 2001 it left behind a toxic soup of chemicals that emitted a foul odour into the near-by neighbourhoods of Whitney Pier and Ashby and polluted waterways that led into the Sydney Harbour. Over the lifespan of the plant, toxic by-products seeped into the ground and turned Muggah Creek, an estuary that feeds into the harbour, into what became known as the Sydney Tar Ponds. Much of the hazardous waste came from coke ovens which, through heating coal at high temperatures, released tar, sulpher, benzene and carosene into the ground and waterways. In 1982 Fisheries and Oceans Canada shut down the lobster fishery in Sydney Harbour when surveys conducted by the department found PCB, mercury, lead and polynuclear aromatic hydrocarbons in the harbour's lobster. The tar ponds sat in the centre of the city surrounded by homes, schools and shopping centres. For eleven years residents of nearby Frederick street fought to get compensation for serious illnesses they claim was caused by the site; residents cited such health problems as asthma, skin diseases, kidney infections, cancers, blood disorders, miscarriages and more. In 1999 an oozing yellow liquid was seen coming out of the basement floor of several homes on Frederick street. Nova Scotia Environment confirmed the liquid was arsenic but Environment Minister at the time Michel Samson said "this poses no health risk, but given the level of anxiety that exists within the community, the province is prepared to temporarily relocate residents who found sediment in their basements." However, many years later a Public Services and Procurement Canada health risk study would conclude that the levels of lead and arsenic at the site warranted remedial action. It also found that "atmospheric contaminant levels in areas adjacent to the site were at or below acceptable levels." In December 2001 a provincial and federal study found that the Sydney Tar Ponds were as safe as any other urban part of the province, but roughly one month later men wearing white suits posted signs along the fence surrounding the area declaring the site a Human Health Hazard. Two years later Health Canada released a study that suggested the closer you like to the site, the greater the health risk. In examining death rates from 1961 to 1988 it was determined that there was a significant increase in instances of lung cancer and diseases of the circulatory and respiratory systems in high and moderate exposure areas. In 2004 four near-by residents launched a suit against the provincial government that soon became a class action lawsuit. One of the people involved in the suit was Ann Ross, who had soil tests performed on her property that found levels of petroleum hydrocarbons, polycyclic aromatic hydrocarbons and heavy metals that exceeded the Canadian Council of Ministers of the Environment (CCME) guidelines. Ross reported suffering from nose bleeds, neurological problems, and psoriasis. Member of Parliament for Saanich-Gulf Islands and Green Party Leader Elizabeth May, who was Executive Director of the Sierra Club at the time worked alongside citizens to pressure the government to clean up the site, even going on a 17-day hunger strike on Parliament Hill urging the government to relocate the families. May also co-authored the book Frederick Street; Life and Death on Canada's Love Canal. May said "the part that's really offensive to me is that they did not clean up peoples backyards and that's where the greatest degree of contamination of the neighbourhoods remains; kids playing in their own backyards, coming into the house where the levels of lead and arsenic in the backyards soil were never remediated." She added "we did testing in basements and the government said that level of contamination was fine, this was pooling yellow arsenic on people's basements floor it certainly did not look fine, and the scientists that we brought in from Sierra Club were very alarmed but that was left out of remediation." She explained that the polluters had the benefit of exhausting the groups and the individuals fighting to get the clean up and noted the decrease in coverage in the media, saying "let's face it it was out of sight out of mind, now it looks pretty but it wasn't a clean up it was a cover up." 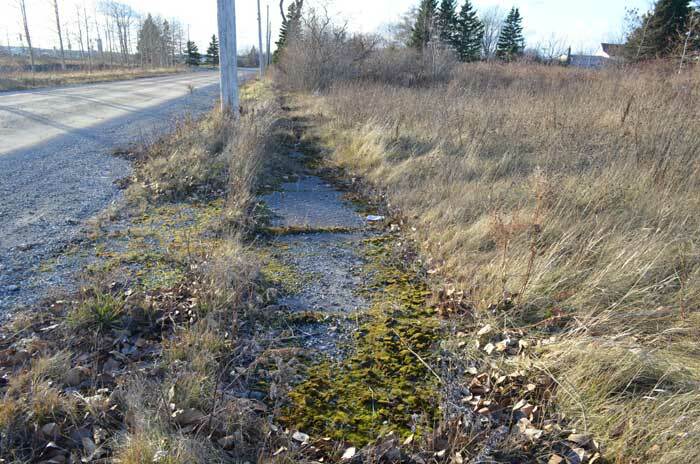 In 2012 the Government of Nova Scotia announced that the former site of the Sydney Tar Ponds and Coke Ovens would be entirely cleaned up at a cost of $389.3 million dollars, a cost shared between the provincial and federal governments. According to a 2014 Public Works and Government Services Canada study, "it was the largest remediation project in Canada at the time of its inception." The 747 000 cubic metres of contaminated soil was treated using solidification/stabilization which saw a concrete-like substance being mixed into the ponds. Alex Gillis used to live on Intercolonial street on the North End of Sydney, he said "I could look out at it everyday with the window open, with the window closed was better most days. So I got a look at things that were going on as things were being cleaned up." He said one morning he went outside and across the street they had put up a fence and signs and there were people outside with monitors that measure parts per million to see if the wind was carrying toxins. He recognized the monitors from his own Occupational Health and Safety Remediation Training in 2009. He said "when we did the occupational health and safety, where we did remediation of lead and mold and asbestos, we did a little trip down to the tar ponds. A lot of people were applying for jobs there. Most of the older guys who did the course with me wanted nothing to do with the tar ponds clean up, some of the younger guys, they applied, but I wanted nothing to do with the clean up of the tar ponds, I wanted to stay as far away from that as possible." He explained that he had young children at home at the time and did not take the risk lightly. He said "I was tempted to put in applications sometimes for the money, but I talked myself out of it. I looked up material safety data sheets on a lot of the chemicals and they did not look child friendly." He explained that when you're remediating a house, the house is enclosed and everyone leaving has to shower off and put on clean clothes, but that the decontamination process for workers at the tar ponds did not seem to be up to those standards. He said "I didn't want to be bringing home any of that stuff on my boots or otherwise." When all was said and done, the stabilized sludge was covered by a plastic sheet and 2 metres of dirt with grass planted on top. At the time, citizens and environmental groups expressed concern about the effectiveness of such a technique. Even a government study said "contaminant migration was largely eliminated in the site's ground water and in surface water flowing through it." In addition, a Joint Review Panel Environmental Assessment Report submitted to the environment ministers at the provincial and federal level stated that "the panel is not convinced that the solidification/stabilization technology is proven for use in the Tar Ponds context." That conclusion was based on the potential for groundwater and seawater flux. May said that the Sierra Club "presented very strong evidence that this was not the appropriate way to go and that there were better options. The environmental assessment panel report actually said that nothing should go ahead until they could prove that this was going to work and they ignored that and just went ahead. The political overlaying expediency, one might even say corruption of the whole process meant that you didn't end up getting an actual clean up, they just drained the estuary as best they could, stirred in concrete hoping it would settle so they call it solidification/stabilization but all the toxins are still there, so it's basically a large concrete sarcophagus over toxic waste with top soil on top." The decision to essentially bury the site came about after the initial idea to burn the ponds was largely rejected by near-by citizens who feared bigger exposure to the chemicals, especially PCB's. But burying the site had its share of opponents as well who worry about the permeability of the concrete mixture and other possibilities that would see the continued contamination of surrounding waterways and neighbourhoods. Kenny Green has lived on Tupper street, the next street over from Frederick street his entire life. He said "all they did for us, was a cover up. They dug it up, put dirt in it and that's it, that's about the size of it. That's all it is, a cover up, making everything look pretty. I think they could have done a better job." Green said a crew offered to clean up all the properties on Tupper street, without admitting there was any issue in the first place. He said "they just came over and asked us if we wanted to get it done. So I said, you're doing it for free, do it. So they came by and dug up the yard and replaced it with new dirt and sod, put a new front step, new back step, put my deck on, and that's about it." Muggah Creek flows from the site under the street and through Green's yard. When the crew came through they put up new rock siding along the creek, but every spring when the snow melts it floods his yard and much of it is caving in. He said he has contacted his local city councillor about fixing it, but has had no response. When asked if they told him everyone on his street was safe, he said "that's what they claim. The funny part about it is the white house on the next street [Laurier street] over discovered arsenic. So it jumps us and gets over there." In August 2013 the site became known as Open Hearth Park; 39 hectares of green space, sports fields, walking trails and a children's playground. Someone visiting the park today might not even be aware of what is right under their feet. That same year the Supreme Court of Canada denied the opportunity for an appeal and for the residents of Frederick street and the surrounding area, it was over. The residents were moved and the houses were bulldozed leaving vacant lots behind them. In 2016 however one of those residents did reach an out of court settlement with two of the plant's former owners, Domtar Inc. and Ispat Sidbec Inc. Nurse by training Debbie Ouellet, had been experiencing intense migraines when she discovered the oozing liquid in her basement may be to blame. Ouellet represented herself in court and is hoping to bring a new suit against the provincial and federal government in the future. May says "it's disheartening and it's a tragic tale of government interference, government neglect. I mean when the government ran the tar ponds and actually ran the coke ovens, the pollution was worse than when the private sector was running it. So it's a story that Canadians shouldn't forget and it is an ongoing issue."